A frustrating start to the Rovers’ Premier C campaign. Despite having their chances, it was errors that cost the Rovers, eventually going down to Old Mentonians by 13 points at Keysborough. The first three quarters were an arm wrestle where the postage stamp sized ground clearly favoured the Mentone boys. A point up at quarter time, 3 points down at the half and one point up at the final change and it was game on. Crispy was playing a fine game down back, Charlie Miles and Daniel Corp up forward were dangerous. Joel Melnjak, playing in the ruck, yes all 185cm of him battled hard all day against the bigger Panther opposition and he held his ground. No doubt he’s looking forward to Josh Broadley’s return next week. Pross was his usual dependable self, Pav having a battle royale with the big full forward, in fact any forward and throw in the noisy Mentone ressies boys as well! Rich Atkins, let loose up forward popped through a couple of goals and probably could have had a couple more. Injuries to three quarter time were proving a problem. Both debutantes were victims, Will Jackson did an ankle in the opening minutes and Jackson Manning went down with a knee injury after looking in his element early on. Then a few minutes into the last quarter, Oscar Roberts took a whack on the shoulder and took no further part in the game, with the Rovers down to one for the remainder of the contest. The final quarter was a ripper, it was goal for goal as both teams nearly doubled their three-quarter time score as it rained goals – 13 for the quarter. The coaching staff did swing the changes. Charlie Miles went into the ruck and Cam Hetherington moved from the wing where he looked at sea, to inside the 50m line where he complimented DC’s fast leads with some strong marks and finished with his accurate kicking for goal. He kicked three for the quarter. Hard and tough footy for the whole quarter and it was really just luck that got the home team over the line in the last couple of minutes with a gifted free kick and from another one of our unnecessary errors. Still, many positives to take from the opening game of the season and the boys now look forward to the Grand Final replay this Saturday against Ormond at Boss James Reserve. The Reserves started their season well, running out comfortable victors by 31 points over Old Mentonians. Nick Jackson kicked four goals while Jesse Lovig was named best for the Rovers. Read the full match report. The Rovers Women were the first footy team to make use of the brand-new facilities at Castlefield Reserve and they took on UHS-VU in the season opener. In a better suited division this year, the girls were more competitive but couldn’t quite get over the line. Many positive signs however and 2019 is sure to be a far better year for the team. A music festival had about half a dozen unavailable on Saturday but the signs were there. Apart from a slow start, the Rovers kept up with the opposition and it was only our inability to finish in front of goals that was the difference between the two teams. Great to see a number of new faces in the side and playing well. Some foundation players in Nicky, Megan and Chloe in the best players and Harmoni and Taylan in the goal kickers. A perfect start to the 2019 season for the new-look Under 19s who played some great footy to record a comfortable win over Marcellin at Bulleen. New coach Sam Care was impressed with his side as they moved the ball well and kicked 14 goals. Great to see a couple of those names in the best and goals – Melnjak, Marrons (two of them), Carrigan, Bergman and Donald. A few weeks out, the Thirds were an unknown quantity with only a handful of players committed. Come Thursday night, 14 were named on the bench! 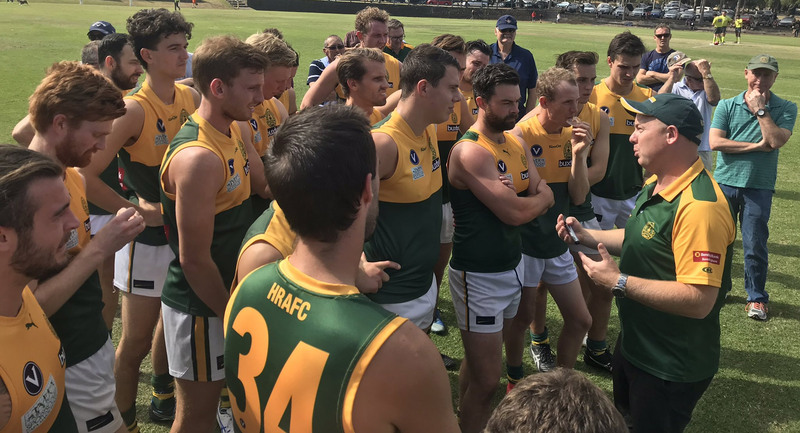 At Castlefield on Saturday, Ash Fisher kicked 7 and Lachy DeLisle BOG, amazing start to the season for the Thirds as they produced a monster final quarter to overrun Chadstone. Some interesting names in the best players! Looks like the competition for places in the twos will be very hard fought in 2019.